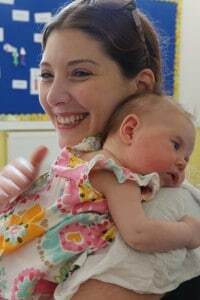 La Leche League GB is not a pressure group. Our wish is to offer parents accurate information so that they can make informed decisions that feel right for themselves and their child. Breastfeeding is the optimal food for a baby as it is uniquely made up of the exact nutrients needed for each individual baby for at least the first six months. New discoveries are still being made about the way various components of breastmilk work to aid the growth and development of babies. However there are times when, due to individual circumstances, mothers are unable to breastfeed or feel it is really not for them. Then what is important to a child is the love, care, warmth and bonding they experience. LLL Leaders can provide a listening ear for parents to talk about their feelings and concerns, enabling them to discuss the situation with someone who will be completely non-judgmental. 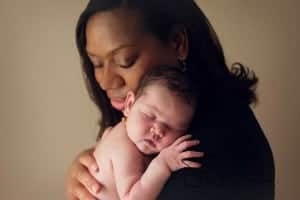 We don’t offer advice, as every mother/baby relationship is unique and what is right for one will not be right for another, but we offer information to empower parents to make a decision that is right for them. If an LLL Leader has any concern about the health of a baby, we will suggest the mother contact a health professional. We also understand that there are occasions when offering supplementation, alongside breastfeeding support, is important for a baby’s health. LLL accredited Leaders have breastfed their own babies, but many of us first contacted LLL because of difficulties with feeding, or because we had previously stopped breastfeeding a baby before we wanted to. LLL Leaders know that when a mother needs a bit of help it can’t wait until tomorrow. We offer mother to mother support via groups, phone calls and emails and have a range of online support options. While we do represent the views of breastfeeding families in any discussions on breastfeeding, both in the media and via government committees, as well as organisations such as NICE (National Institute for Clinical Excellence) and the BFLG (Baby Feeding Law Group), we will never try to persuade a mother to breastfeed. Breastfeeding provides a baby with everything it needs, but mothers who don’t breastfeed will find the way that suits them to nourish and cherish their child. The most important thing is that parents feel they have been able to make an informed choice and do what is right for them in their personal situation.